We are now in the fourth day of the battle in Gaza. As expected, social networking sites like Twitter.com and video-sharing sites like Youtube.com are buzzing. QassamCount: Two Qassam rockets fired from north Gaza landed in an open areas within the Sha'ar Hanegev and Eshkol regional councils. RT @dibau_naum_h: war stories: my train to work this morning was delayed due to rockets fired(..). rockets are expected to hit my town soon. You can also go to search.twitter.com and enter #gaza for continuing debate and discussion on the Gaza situation. As is always the case with open forums like Twitter, you'll find duplicate links to media reports, along with unsubstantiated rumors and inaccuracies. The Israel Defense Force has even taken to Youtube.com to post videos of its offensive into Gaza. As of this writing, the IDF page had more than 800 subscribers and eight videos posted. Half of the videos show targets being destroyed, while others show things like Israelis loading up humanitarian supplies or the Israeli Air Force preparing for a nighttime operation. What online resources are you using to keep up with the conflict in the Middle East? Post them here or at iReport.com. man these guy need to set with the program they have been fighting over the same stuff fo decades and what has it gotten them, the loss of their children, mothers, and fathers. They must not cotinue to keep acting like children they need to come up with a mutual aggrement that benifits them both, or they will end up runing both their cultures. As th old saying goes those who dont learn from there mistakes are doomed to repeat them. An Osama Wasabee Mohammedam ? The site I visit (reddit.com) seems to be filling up with propaganda from both sides. It’s hard to tell what is truth and what is fiction. We have both sides trying to get everyone to side with them be cause they are correct and the other side isn’t. Why US and European governments give the tax where people pay, to Israel to do these war crimes and associate their nations in blood of women and innocent children? Hamas was selected with Palestine nation vote. Why Israel surrounds Gaza and don't let wounded persons receive food and drug? Isn't Israel a occupier?? Isn't this an unfair war? Who has equipped Israel with F16 fighter plane? I am a journalist working for http://www.france24.com. I am writing an article on how medias are dealing with comments moderation, regarding Gaza. A few newspapers in France have stopped publishing any reaction : because they were too numerous and often insulting. Could you tell me what CNN's policy is ? Especially on Gaza's topic ? It's an occupation. Is it so unreasonable that people would be willing to sacrifice their lives in order to extract invaders? Millions of Muslims worldwide were cheering and dancing in the streets on 9-11 as 3000 absolutely innocent men, women, and children were executed in America by Muslims. There were no expressions of revulsion within the Islamic world for this sub-human act. Now the pathetic appeasers in the UN and Europe want the Jews to stop defending themselves and just accept wholesale death as promised for them by Iran. My suggestion is for the Israelis to kill as many of these barbaric Muslim terroists as possible. Do not worry too much about innocent and ancillary victims as such is an unfortunate and truly unsolvable problem that exists in all wars. Recall that there were no complaints by oppressed people that tens of thousands of innocent civilians were killed in places like Dresden, Berlin, and London during WWII. Hammas is using the incompetent western media to showcase their own strategy of melding rockets within schoolhouses and rellgious places. Absolute victory over these mid-eastern monsters is the only avenue of survival of civilized people from the ongoing cruelty, barbarism and intolerance of Islam. We have all seen enough of beheadings, stoning to death, and hangings offered to us by Arab media outlets who proudly showcase their form of civility. "Millions of Muslims worldwide were cheering"
Even rapper - "KRS-One: "I Cheered 9/11""
Who pulls the strings to orchestrate endless international killings ? Marketed with deception, most, but not all believe. All they have to do is stop firing rockets. They don't even have to recognize that Israel has a right to exist. Thye don't even have to say Israels name or anything. Just stop firing rockets and sending suicide bombers. That's it!!! I am just interested to know if you are watching the same incident as he rest of us? – Hamas was the first to fire rockets into Israel. 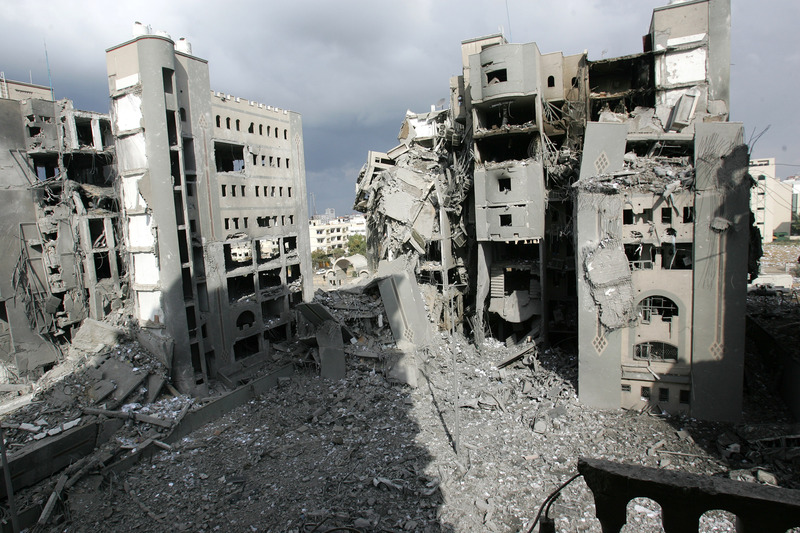 Hamas did not come to power by vote – they took it by force. Educate yourself before stating improper facts. Hamas only understand one thing – that is being beaten down like the terrorist group they are. They dont logic, they dont keep promises, they are full of hate, they teach their children to be martyrs and etc... They only undertand violence and power. There will be no solution as long as Hamas remains a terrorist organization and does not bring politics to the table. The Greatest Terrorist of all - fermenting, dividing to control ? Analize; - Why the endleess continuation of motivation ? did reterpors worry about japanese families suffering when the united states was trying to win ww2 ?and since japan was full on behind its war machine, making them suffer was the only way to end it with us winning.I would say that the same applies to the palistinians of gaza. they voted in hamas.we should note its pretty quite on the west bank.